Since 1958, when we opened our first service station in Artesia, the focus has always been on a commitment to growth, based on a solid foundation of service, community and reliability. Now, more than 50 years later, the Brewer family continues that commitment, along with the experience and integrity that allows us to provide the most dependable and efficient service to every one of our customers. Brewer Oil not only serves the local community, but we also serve wholesale and retail customers throughout the State of New Mexico. 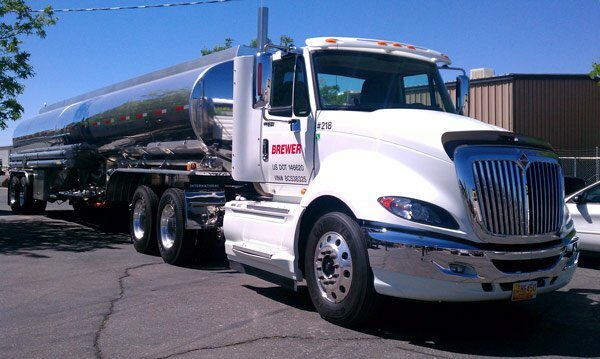 From fleet vehicle fueling, bulk fuel and hi-tech lubricant solutions for industrial and agricultural business, to filling your own vehicle—as well as your appetite—at our dozens of convenience stores, Brewer keeps your business—and your everyday life—moving. With 37 convenience stores in 13 New Mexico communities, rest assured that you always have Brewer close by. From Albuquerque to Espanola, Las Cruces to Capitan, and Roswell to Loving, you can count on the quality of service and products that New Mexico families have relied on for years. For our business customers, Brewer has Commercial operations in Albuquerque, Las Cruces, Artesia and Carlsbad. Brewer Shell and Chevron stations keep your life moving with the highest quality fuels, which means better mileage and longer life for your vehicle, and fewer headaches for you. Shell V-Power fuel is a high-octane, nitrogen-enriched gasoline which actively cleans while you drive. Chevron fuel with Techron produces low emissions, high performance, and a clean engine. And of course inside, you’ll find the snacks, groceries and refreshments…the fuel you need to keep you running smoothly while on the go.